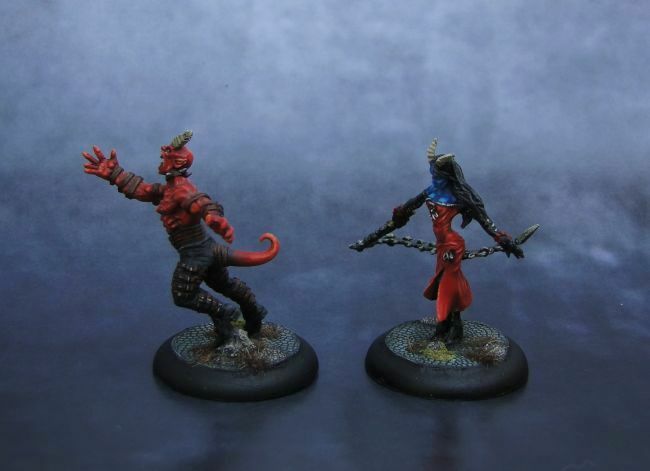 I've been a big fan of Lelu and Lilitu since I saw these minis first a longer while ago. 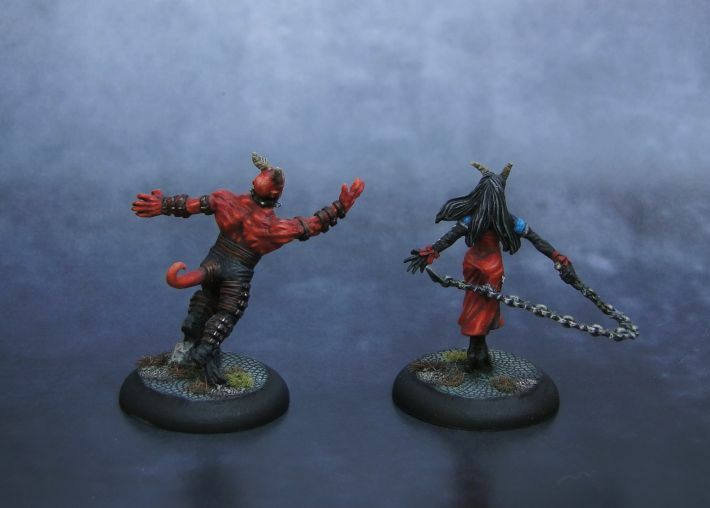 They were also some of the first minis for Malifaux I bought and have been on my backlog list for several months. 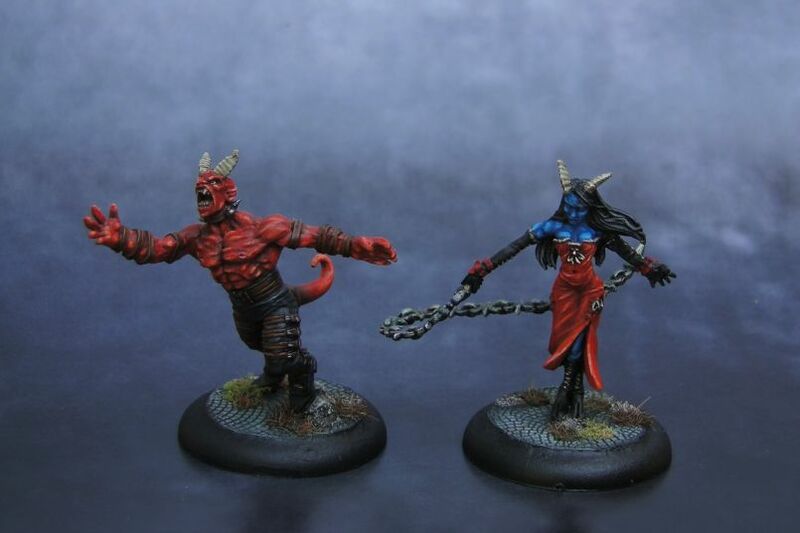 Lelu (the red one) was a nice exercise in painting red skin. I went quite far with highlights, adding a bit orange there as I aimed for a more demonic look. Painting Lilitu was a bit more challenging as I've never worked on blue skin before. I chose to paint her dress using a vivid shade of red to add an element that would tie her with Lelu. Not much more to say here. 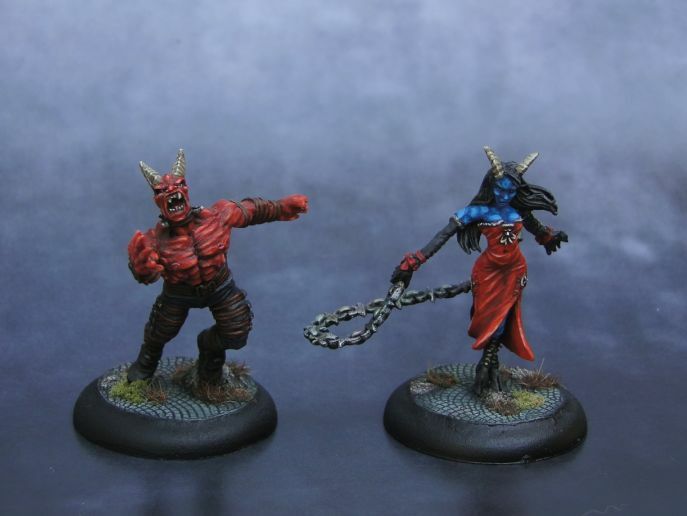 I'm going to paint at least one more miniature from my Malifaux backlog this month and then I'll probably need a break (moving house).